DAVID LE/Staff photo. 4/30/15. 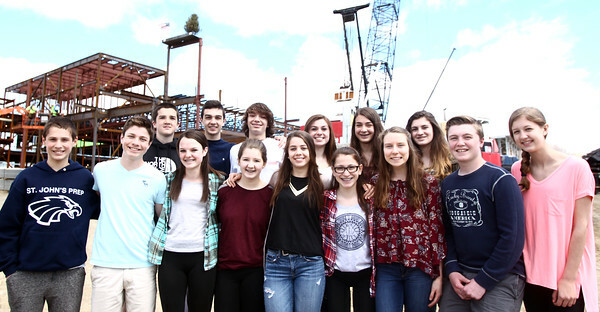 A group of Higgins Middle School eighth-graders were present for a short beam-raising ceremony to commemorate the halfway completion point for the new Higgins Middle School on Thursday morning.